At the Law Offices of Joseph J. Tock in Mahopac, New York, two highly experienced attorneys and a friendly, accomplished staff put clients' needs and goals first. Our firm handles personal injury claims, criminal defense, real estate transactions, estate administration and business representation with skill and rigorous attention to detail. We are honored to serve thousands of clients primarily in Putnam County, Westchester County and Dutchess County. A 1983 graduate of St. John's University School of Law, principal attorney Joseph J. Tock gained invaluable experience as an Assistant District Attorney in the Bronx. A respected legal presence and active community leader in the Mahopac area for decades, he was noted Voted Business Person of the Year for 2006 by the Greater Mahopac-Carmel Chamber of Commerce, among many other honors. Like Mr. Tock, associate attorney Peter J. Reynolds is a past President of the Putnam County Bar Association with many years of successful case building, negotiating and trial litigation experience. Our firm strives to offer the utmost in personalized, responsive service to each client we serve. Personal injury victims, families grieving after wrongful deaths, and those accused of DWI and a range of other criminal offenses are treated with genuine care and respect. Hundreds of business owners turn to our legal team with confidence for ongoing services from entity formation to dispute resolution and all matters related to wills, trusts, and estate planning. 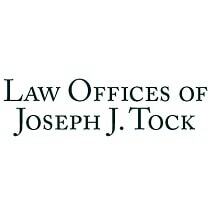 Your issues and your future well-being genuinely matter at the Law Offices of Joseph J. Tock. To speak directly with an approachable, trial-proven lawyer about your potential personal injury claim, A criminal case, your will and estate, buying or selling a home or business, or another concern, call or email anytime. We will provide a free consultation and case evaluation.